Eileen was born in Cooraclare, County Clare and the daughter of John and Mary Morrissey, one of four girls. After completing high school and coming to the United States at the age of 17, Eileen came to live with her aunt in Teaneck, NJ. She found work with the NJ telephone company and later moved to Woodside, Queens with her sisters. 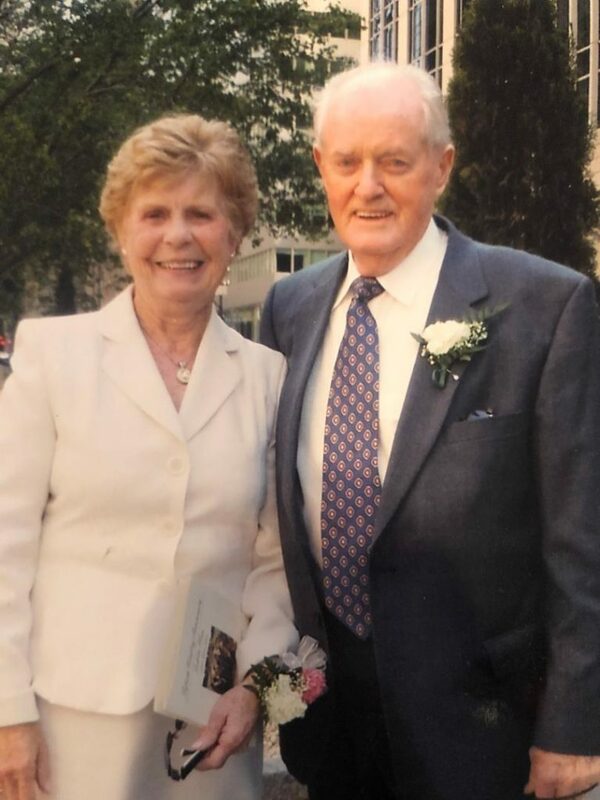 While working in New York City, she had a great time attending weekend dances where she met the love of her life, Pat Weir, from Castlerea, County Roscommon. Pat and Eileen married in 1962 at Our Lady of Angels in Kingsbridge, Bronx. They had four children, Kevin, Patrick, Michael, and Bernadette. While Pat was working for the New York City Hospitals, as a carpenter, he also was working on the construction of their new home. In 1975, the family moved from the Bronx to Mahopac. Their children all married and are the grandparents to 15 grandchildren and 1 great granddaughter. After retirement, Pat and Eileen enjoyed spending their free time playing golf, cards and attending Ceili’s/Set Dancing. Pat and Eileen treasured all the memories they had especially spending most weekends enjoying their grandchildren’s games. Through the years Pat and Eileen devoted much of their free time to various organizations, but the Emerald Association was the one closest to their hearts. After 55 happy years of marriage Pat unfortunately passed away in May of 2017. The Emeralds have been like family to them and the great memories are countless. This honor is very dear to Eileen especially in the memory of Pat. Eileen appreciates all the love and support she has received from the Emerald Association over the years and looks forward to even more great memories in the years to come. The Emerald Association of Putnam County is a non-profit organization based in Brewster, NY. You may purchase advertising space with us if we believe there are mutually beneficial interests and goals. For further information, please contact John Simpson at johnsimpson2@comcast.net.